The city of Los Angeles is no stranger to celebrity sightings. But for a few days last summer, well-heeled movie stars traded places with some of NASA’s best and brightest scientists and engineers. In what was described by John Holdren, President Obama’s senior science advisor, as “the most challenging mission ever attempted in the history of robotic planetary exploration,” NASA’s Jet Propulsion Laboratory (JPL) landed an SUV-sized rover named Curiosity on the surface of Mars, following a diabolically complex and breathtaking feat of engineering. After nearly 10 years and $ 2.5 billion worth of effort, the rover, humanity’s best hope so far for finding microbial alien life on the Red Planet, dazzled the world with a picture-perfect landing. Curiosity is the latest in a series of progressively advanced rovers to visit the fourth planet from our sun. Before Curiosity, the popular twin rovers Spirit and Opportunity left their marks in the scarlet soil. Designed to operate for only 90 days, the rovers wildly exceeded everyone’s expectations. Opportunity, still exploring, has been roving for nearly nine years. NASA recently announced plans for the launch of another robotic science rover in 2020. Curiosity’s first-person voice is supplied by a small but enthusiastic team of NASA/JPL communication professionals led by Veronica McGregor (@VeronicaMcG) who, back in 2008, already was channeling the Mars Phoenix lander. With nearly 1.2 million Curiosity followers (and more than 465,000 Facebook fans), it is obvious that McGregor and her social media team: Stephanie Smith (@Stephist) and Courtney O’Connor (@CourtOConnor) are on to something big. But they didn’t stop there. Dedicated to getting the word out to as many people as possible, McGregor held NASA’s first ever Social in 2009, an event that allowed guests a once-in-a-lifetime experience, exclusive access to scientists, engineers and astronauts, as well as the NASA facilities at which they work. NASA’s budget may be a paltry half a penny on the tax dollar, but you’d never know it based on their vibrant online presence. Arguably the most loved and lauded government agency, NASA enjoys a social media footprint second only to the White House, and has won numerous government and internet awards for its efforts to engage the public. 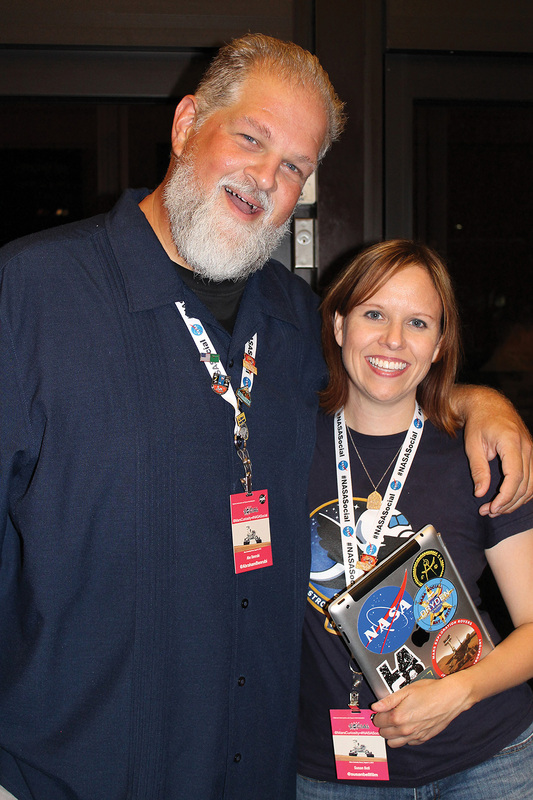 One of those attendees was John Zeller (@JohnLukeZeller), founder of the website #Penny4NASA. 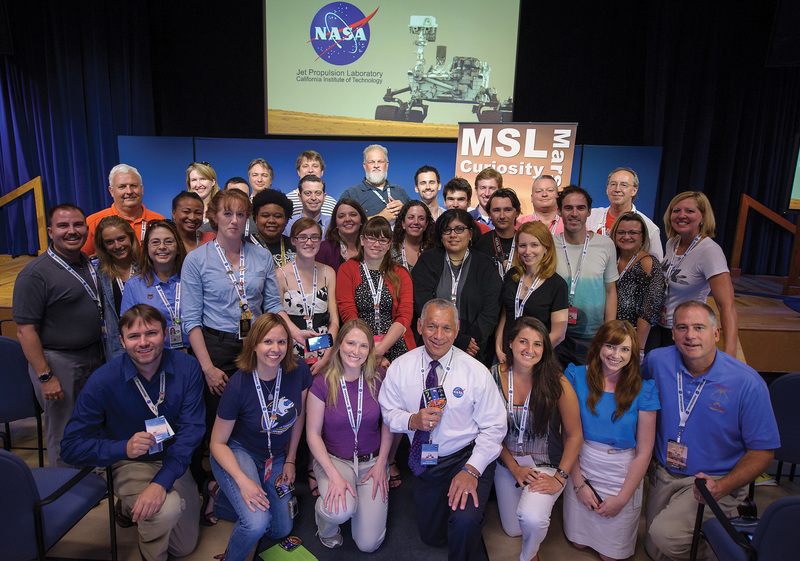 Zeller was one of 2,300 people who applied for the Mars Curiosity social. Only 26 got in. Susan Bell (@susanbellfilm), a film and television producer who dreamed of becoming an astronaut as a child was inspired to get her pilot’s license after a visit to a NASA field center. “NASA isn’t in the news enough. People need to know what’s going on. In this day and age, with all the funding issues, the more people who know the amazing things NASA is doing, the better. We need to spread the word about how much value there is in what NASA does.” Susan said. While at JPL, NASA Social participants were treated to a slew of high-ranking NASA officials, including NASA Administer Charles Bolden, Deputy Administrator Lori Garver (@Lori_Garver), JPL Director Charles Elachi, astronaut John Grunsfeld (@SciAstro), and a handful of senior engineers responsible for getting Curiosity safely to its new home, including Mars Science Laboratory Mechanical Systems Lead Adam Steltzner (@Steltzner). They also attended NASA briefings and asked questions, alongside members of the national and international press. That’s exactly the sort of reaction NASA is hoping for. The three-day event wasn’t all lectures and press conferences. The attendees also took in a theatrical presentation of the popular viral hit, “Seven Minutes of Terror”. They also were given a demonstration of “Eyes on the Solar System.” A 3-D environment populated with real NASA mission data by popular creator Doug Ellison (@Doug_Ellison), and toured JPL’s Mission Control and the popular Mars Yard, where test rovers traverse simulated Martian rock fields. Before NASA Socials, this sort of access was reserved for VIPs and visiting dignitaries. While NASA Socials are populated by citizens from all walks of life, they frequently draw more recognized faces as well. 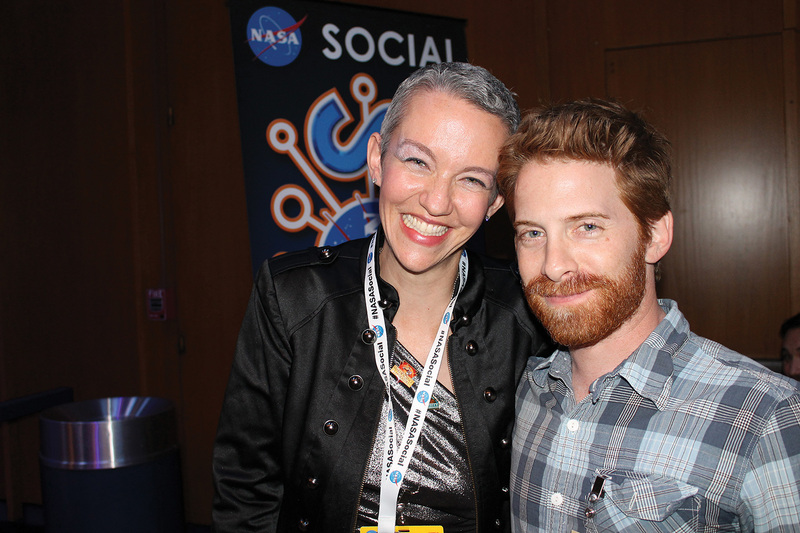 Actor Seth Green (@SethGreen), who attended a NASA Social for the final launch of the space shuttle, considers himself a lifelong fan of the agency. Green isn’t the only movie star smitten by NASA’s work in the final frontier. NASA Social attendees also were able to rub elbows with surprise celebrity guests like Star Trek’s Nichelle Nichols and Wil Wheaton (@wilw), The Big Bang Theory creator, Bill Prady (@BillPrady), Black Eyed Peas’ frontman will.i.am (@iamwill), and Jeopardy’s Alex Trebek. “It was the most exciting, heart-wrenching, deliriously joyful event I have ever experienced.” ~ Abraham Benrubi NASA Socials draw like-minded participants from all corners of the globe, creating deep and lasting bonds among participants, who frequently end up rooming together and spending every free minute in each other’s company. They commonly create online communities to stay in touch and launch their own reunion events to relive the moments they shared, and strategize how better to advocate for their mutual passion. “Once space fans find each other, they tend to stick together,” an understandably satisfied McGregor said. In the minutes leading up to Curiosity’s landing, the tension in the auditorium housing the social attendees and expectant members of the press could be carved with a knife. With each success of Curiosity’s chain of impossibly difficult descent procedures, the social attendees erupted in euphoric applause. When the call went out that Curiosity was safely on the surface, that euphoria manifested itself as an exuberant demonstration of affection and tears of elation. NASA knows Benrubi’s feelings mirror that of his fellow participants. And the agency knows with each social it holds, NASA gains supporters exponentially. Unlike any other facet of the government, NASA’s mission inspires the hopes and dreams of a country beset by financial doldrums and social turmoil. NASA’s explorers, whether human or robotic, represent the very best of American ideals and potential. While NASA has announced only two socials for 2013 thus far — the launch of the TDRS-K satellite from Cape Kennedy in Florida, and the launch of the Landsat Data Continuity Mission (LDCM) from Vandenberg AFB in California — more are in the works, including socials with astronauts, scientists, engineers, and, of course, other launches, including one at a NASA center which has never hosted such an event before.